BlueSnap eCommerce solution and Buy Anywhere API support unique management services environment where small and micro business can prosper through use of integrated and simplified management functions. FREMONT, Calif., (BUSINESSWIRE) – August 30, 2011 – BlueSnap, the leader in hosted e-Business solutions, today announced that SohoOS standardized on BlueSnap as the e-Commerce platform for their cloud based business management services. 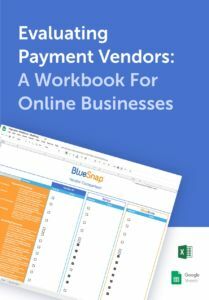 BlueSnap provides a seamless integration into the SohoOS platform and handles all the payment processing, billing and purchase support services. Subscriptions can be easily upgraded and administered by SohoOS as business users add additional low cost value added services to the core free cloud based eco-system. The BlueSnap Buy Anyware API is also utilized to recognize returning business users and provides personalized purchasing features that enhance the customer experience. SohoOS provides everything a micro business/freelancer needs in order to run a successful business, all available with a single click and in one location. The service is totally free, with charges only incurred on extended low cost services such as communication suite, marketing suite and more. With SohoOS there is no longer a need for a business user to jump from one software application to another just to handle ONE transaction. SohoOS also integrates with Facebook and Twitter to offer the Social Media Marketing/Networking arm that today’s businesses are starting to rely on. Previous Press Release BlueSnap selected by DudaMobile to help boost revenue stream.